Discussion in 'UFC Discussion' started by DVN**, Dec 25, 2012. Ok we know who joe rogan thinks is faster. But dodson is explosive as hell. Is johnson's speed overrated? I think dodson may be faster. Mickey Mouse has nothing on Mighty Mouse. Speedy Gonzales > Mickey Mouse. MM is quick and technical as hell. His fight against Benavidez made me a believer. Pluto is faster and stronger than both. DJ is far and away the faster man. Haha. Speedy Gonzales is faster. Wait though. 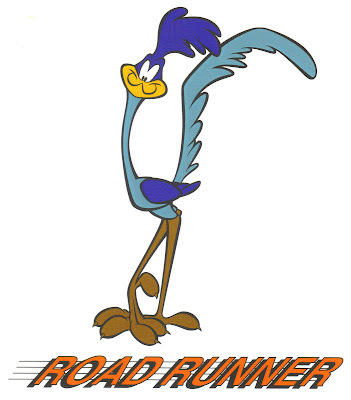 There's Sonic the Hedgehog and Roadrunner. Meep! Meep! MM is the fastest no doubt dodson is quick and possibly more explosive. I think Dodson might be faster... but he doesn't throw with the same type of conviction... that says when he does committ he has significant more power. So that said, I think Dodson's movement is quicker, I think Johnson's hands are quicker. Johnson is much much faster. Wile e. Coyote ftw. He can take some serious punishment. Ill go with Reverse Flash.